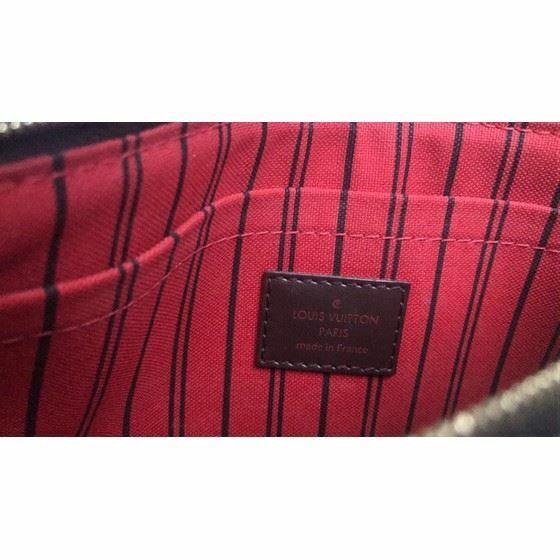 AUTHENTIC LOUIS VUITTON POUCH: Neverfull clutch/Pochette from Louis Vuitton in Damier Ebene with red interior, leather trim, gold zipper. 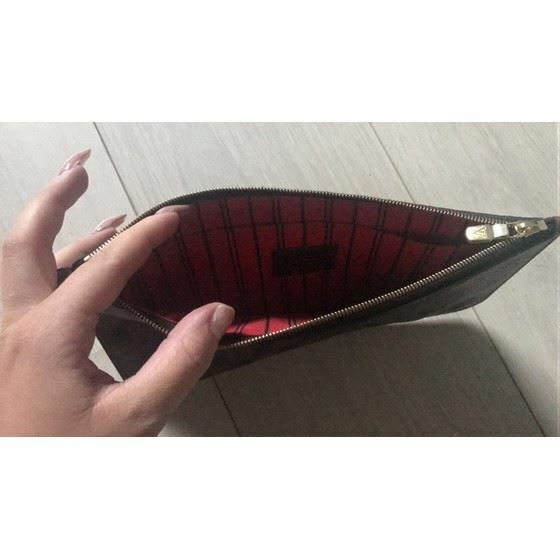 Measurements are 25x15cm making it ideal as a bag in bag or as a small evening purse. 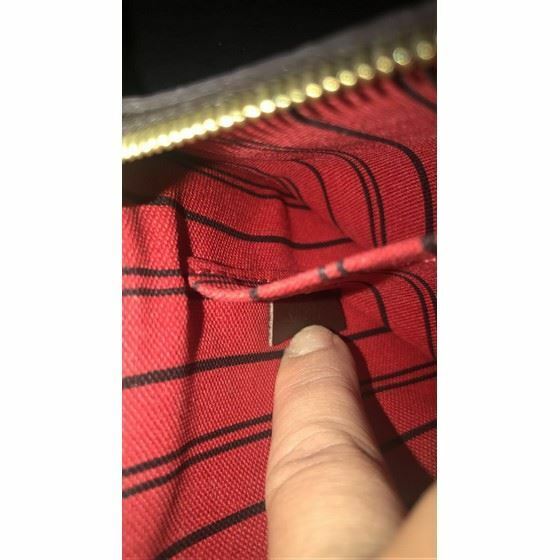 The removable zippered clutch can be carried separately as a chic pochette or serve as an extra pocket. 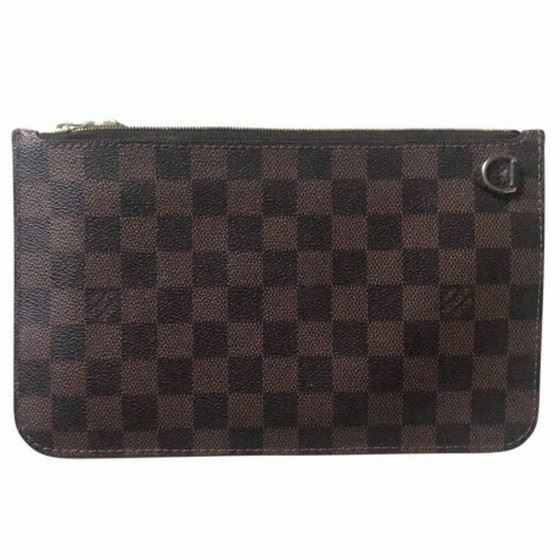 Whether it is clipped to another bag or carried independently, this clutch/pouch in striking Damier canvas is a playful addition to any wardrobe. Mint Condition, never used.